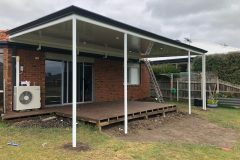 If you want to get the most out of your outdoor living space, you need to make sure that it’s a comfortable entertaining area all year round. 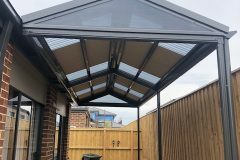 Having flexibility with your outdoor roofing is key to year-round use – you need roofing that’s supremely flexible, offering ventilation and sunshine on fine days, as well as protection against harsher weather conditions when necessary. Stratco Outback Sunroof is the perfect solution. 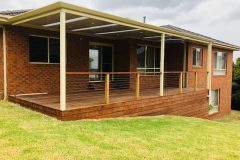 Made with slatted louvres that can be angled, opened and shut with ease, you have complete control over how much sun, shade, ventilation and rain protection your outdoor area and furniture get. Available as a fully-automated system, you don’t have to stress about the weather setting in. Have you ever set out clothes to dry and gone to work, only for the rain to come in and soak them through? Stracto Outback Sunroof can be installed with automatic and in-built rain sensors, which instantly shut the louvres at the first sight of wet weather. When closed, the interlocking louvres form a tight seal that offers complete rain protection. Powder-coated aluminium blades ensure that your Stratco Outback Sunroof lasts for years to come. An inbuilt weather strip helps reduce noise, and a whisper-quiet motorised system makes adjusting your sunroof a breeze. 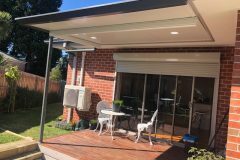 Call Undercover Concepts today on 1300 270 740 to discuss our range of options, receive your free quote and get sizing & measurements taken for your Stratco sunroof installation.